In my last blog, I talked about the toolkit I was working on for local authority chief executives and library portfolio holders, to show how libraries contribute to local and national priorities and how they could be run more efficiently and effectively. The beta version Libraries shaping the future: good practice toolkit, was developed on the user needs identified and launched in December. Currently, I am incorporating user feedback and adding additional content and case studies to this toolkit. All thoughts welcome! My next step is to create best practice guidelines for local authorities when working with volunteers and community-led libraries. 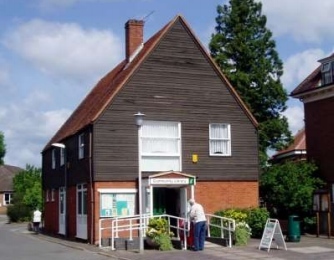 William Sieghart in his Independent Library Report for England directed the Taskforce “to develop sector-led best practice guidelines to help local authorities when working with volunteers and community-led libraries." I also want to ensure this advice is helpful for communities themselves who are thinking of taking on the running of a library. They need to be fully aware of the implications of this decision and what they will be required to do. all parties involved make informed decisions: understanding the pros and cons and learning from others who have gone before, so that a high quality service is provided to local people. 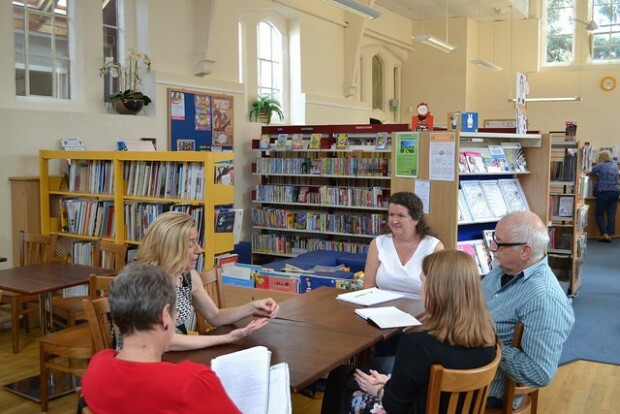 From Taskforce team visits to date, it is clear that community libraries are best able to meet the needs of their local communities if they work in partnership with, and are supported by, local authorities, and not 'cut adrift' to survive on their own. Learning from the partnerships set up between local authorities and community libraries will be incorporated into the toolkit. If you run a community library, I would particularly welcome your input as I develop this toolkit. If you would like to get in touch please leave a comment below or email librariestaskforce@culture.gov.uk. Without wishing to be rude, I feel a strong urge to suggest where you should put your toolkit. Am meeting members of the Taskforce in February. If they offer us a toolkit of this kind, the coffee will spill, buns will be thrown and, no doubt, everyone will be very cross. Where and when will the guidance appear that tells a local authority how to use taxpayers money to best effect and NOT use volunteers to operate its public libraries ? They need to help to know what makes a library popular and useful and guidance on how to devote their resources to improving the libraries in their care. Thank you for your comments. Your outline of local authority needs were addressed in Toolkit 1 (https://www.gov.uk/government/collections/libraries-shaping-the-future-report-and-case-studies) which has a target audience of Chief Executives and Portfolio holders. As described in Kathy's blog (https://librariestaskforce.blog.gov.uk/2015/12/16/need-some-advice-want-to-know-what-others-are-doing-try-our-new-toolkit/) we know there is more content that can be added, including more on the topics that we describe. However specific feedback on issues to cover is always welcome. The text below these comments asks 'What do people want from their public library service?" The answer to that lies in the 1964 Act which is well written and gives the answer. If you need amplification you should conduct proper public research- not ask local government officials . In fact you should have done that in the past year. As Sharon's blog explained, William Sieghart's review of public libraries in England specifically asked the Taskforce to develop this guidance as it was a need his Panel identified during their review. This has been reinforced in my subsequent discussions with volunteers and local authority staff during visits to community run libraries. As with the first toolkit we developed, we will actively seek views and feedback from the intended audience through a variety of channels and adapt the content accordingly. I'd be happy to describe the proposed contents to you in more detail when we meet. You and Willam Sieghart appear wilfully to deliberately miss the point . I think we need to address the brief you've been given, not least because it gives the opportunity to explore some of the practical issues involved in taking public libraries out of the public sector and why there are real fears about it. Firstly, a strategic issue: review after review (and Sieghert was no exception) has noted that part of the problem with the public library service is its fragmented nature. That, together with the fact that nigh on everything in English public library land is optional, means that there's little strategic development; limited opportunity for significant economies of scale outside book-buying consortia; and nationwide initiatives depend for their critical mass on a postcode lottery of acceptance. Other important national failures are an absence of KPIs and no definitive asset register — the debates on the future of public libraries have no benchmarking to work from; no consistent trends data; no nation-wide evidence-based analysis of outcomes; and not only do we not have an empirical national picture of what the public library service is and how it's doing, we don't even know how many public libraries there are in England! (by way of contrast, I chose Moldova at random and found the answer in three clicks). Further fragmenting the service to a hyperlocal extent pretty much puts paid to any hopes that any of this could be corrected. Secondly, *whose* community? The idea of a single, close-knit, easily-identifiable community sits well with Camberwick Green but is meaningless in dormitory suburbs and mosaic inner cities. Back in Browne Issue days when demographic data was hard to come by it was horribly easy for some public libraries to become by ladies of a certain age for ladies of a certain age. Decades of work dedicated to building the culture that "public libraries are for everybody, not just people like us" risk being a waste of time and effort. How can equality impact assessments be made? How can they be made consistently? If made, what would be done with them? How accountable can the organisations running the community libraries be, and to whom? Whatever the shortcomings of elected members at least they can be voted out and are accountable to standards authorities. The model of imposition of community management doesn't allow for the organic growth of management and accountability structures. Grassroots voluntary activity works well when it grows from the ground up, it seldom prospers by parachute implementation and recruitment at bayonet point. Who owns the library data? There are intellectual property rights issues regarding the catalogue data. There are information governance issues, particularly data protection issues, regarding the customer data, loans data, the use of online resources and browsing histories within the library. Who are the Information Asset Owners? What are the information risk plans? Where are the data sharing plans? Who's going to be there to stop that person who thinks it would be a jolly good idea to collect all the names and addresses of library users and sell them to junk mail foundries to earn a few bob? The culture industry is one of the UK's big earners. A lot of small-scale, small-budget operations won't each have the critical mass needed to be able to afford both enough popular topics and best-sellers required for the bread-and-butter market and also a representative range of niche topics, new authors, locally-relevant stock and experimental guesses at The Next Big Thing. This will be a huge loss of seed-funding to the industry and a huge diminution of opportunity to the communities involved. One of the key drivers of human development is serendipitous discovery; if all that remains to be discovered is what is already known then there'll be a withering effect in both use and effectiveness of these services. That's my starter before bedtime. I hope more people add to the discussion.There's plenty more left for somebody to go at. Thanks for sharing your thoughts on community libraries. All good points to consider when exploring the different models of community managed libraries, which are supported by local authorities, and sharing their learning/best practice. Topics such as data protection will be covered, with wider data issues such as, "nation-wide evidence based analysis of outcomes" being considered in different workstreams by the Taskforce and partners. If you have paid staff you have the not-unreasonable expectation that during contracted hours you've got first priority on their time and you'll be able to timetable them accordingly (which is easier said than done, I know). This isn't necessarily the case with volunteers: they may perfectly reasonably have higher priorities such as work or family commitments. Even if they haven't, it's rare that somebody is able to commit enough time to cover or replace a full-time equivalent post so a few people would be required to do the necessary. And volunteers aren't available at a nice steady state over time either: availability tends to clump due to external factors such as public transport, school holidays or even market days. If it isn't critical what time/day the work needs doing this isn't an issue but most key front-line operations are defined by opening hours and for those you'll spend a lot of time working on schedules. We're living in an increasingly high-pressure, time-poor world so people having both the time and energy to volunteer are at a premium. This pool is disproportionately made up of people getting experience before embarking on their careers; job-seekers and people returning to the jobs market; and retired people. These are also the people most likely to have a sudden change of circumstances, for good or ill, which would change their availability to you. So you could spend a lot of your time managing the churn of recruitment and induction, not to mention the potential impacts on your scheduling. To complicate things further: are the right skill sets available at the right time? Is what's on offer what you need? (Do you actually know what you need?) Are your expectations reasonable? Is there capacity for development? We'll assume that initially enough people care about what you're trying to do for them to offer their services as volunteers. Will the reality of your operation confirm that judgement? Will what they get back keep them with you? Work involves at least some element of drudgery — if it was 100% guaranteed fun they wouldn't need to pay people to do it. In the absence of a salary the non-monetary rewards of work take primacy. Continuous positive feedback, a sense of worth, personal development, a sense of belonging, a job well done; these things are achingly important in the paid workplace, in the voluntary workplace they're the only things you have to offer. And offer them you must: it doesn't matter how busy you are or how much fire-fighting you're doing. Moreover, it has to be woven throughout the working experience, not offered as a periodic let's-get-it-over-with effort. In these circumstances being told casually and often that you're doing a good job and it's much appreciated is infinitely better than any formal appraisal. It takes time and effort to do, and all too often isn't. In a paid environment you can get away with neglecting the non-monetary reward of your staff in the short term because like as not the job'll still be done by your employees; it takes a while before loss of performance and increase in recruitment costs become obvious. In the voluntary environment the period where you can get away with neglect is very small; if the volunteer starts to feel that they, or the work they're doing, is unimportant then they'll vote with their feet and go and do something more rewarding instead. So you'll be spending more time recruiting and inducting new volunteers. And the pool will get smaller because word will get round that you take your volunteers for granted.